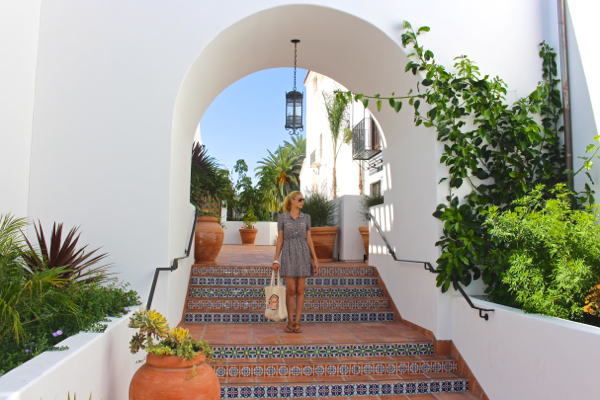 Santa Barbara has some pretty incredible cityscape. Hello hello all the way from the east! I’m coming to you mildly jet-lagged but oh-so-happy, from the small town in western Maryland where Jeremy grew up! And we’ll be here visiting his family for the next week, mostly just relaxing in the beautiful Maryland countryside, but also with a few planned trips in the mix: a Baltimore Orioles game (!!! ), a day at the Natural Products Expo East trade show (squee! ), and a night in Baltimore with all his old college friends (so excited to meet those guys!). I’m going to do my best to keep up with the blog while I’m away, but I’m also not putting too much pressure on myself. This is my last hurrah before the next year of grad school begins, and oh mah gawd, it’s going to be a crazy year. I’m trying not to get too overwhelmed . . . This was our dessert one night after dinner on the beach. All the fruit was foraged within 2 blocks of my house! 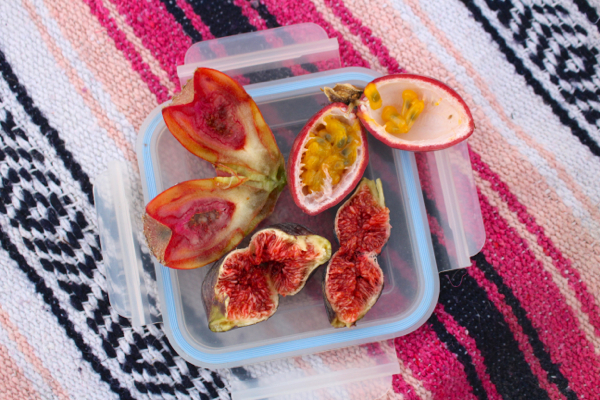 Prickly pear (cactus fruit), passionfruit, and figs. Look at all that color! 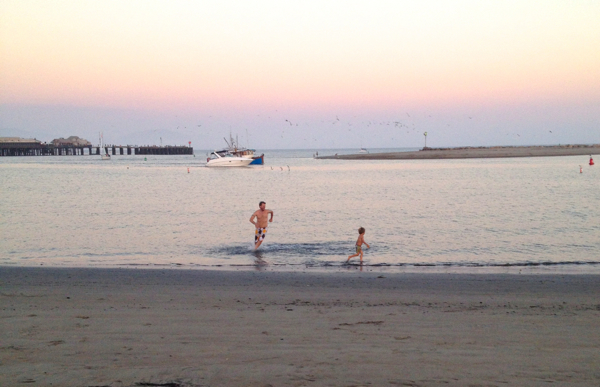 Same picnic, these two crazy fools went swimming at sunset. 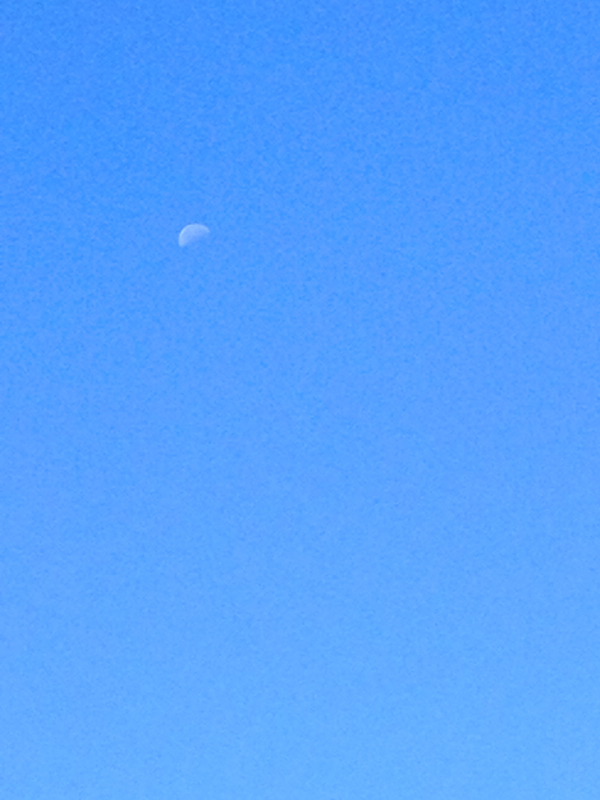 Oh hello, half moon high in the sky at 11 o’clock in the morning. 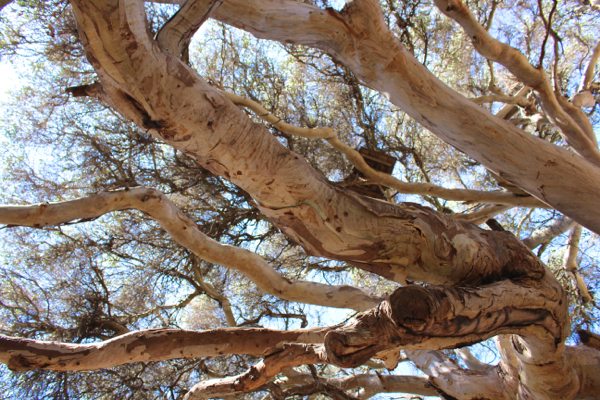 A picnic under this beautiful giant, a “weeping” Eucalyptus. 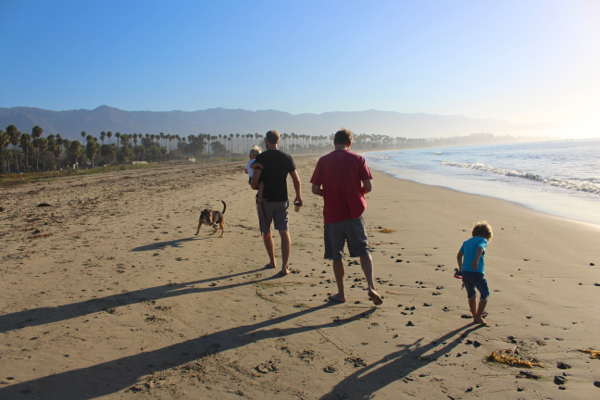 Early morning beach walks – with friends! Of all the aster seeds I tried to start this year, I only got one plant. ONE plant! And that one plant produced these four teeny tiny perfect blooms – small enough for an espresso cup vase. I ♥ them. Suuuuper fun end-of-summer project with my bumper crop tomatoes. 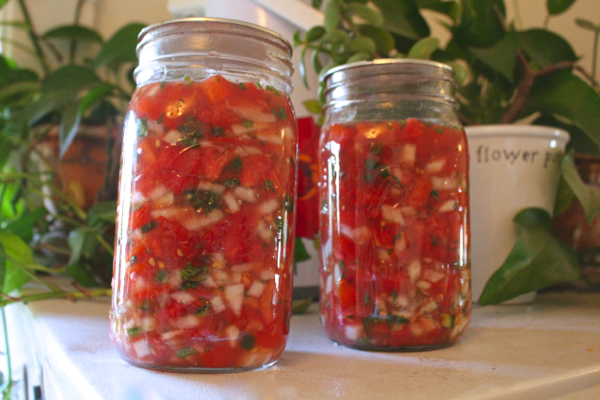 This fermented salsa recipe will be up the blog next week! 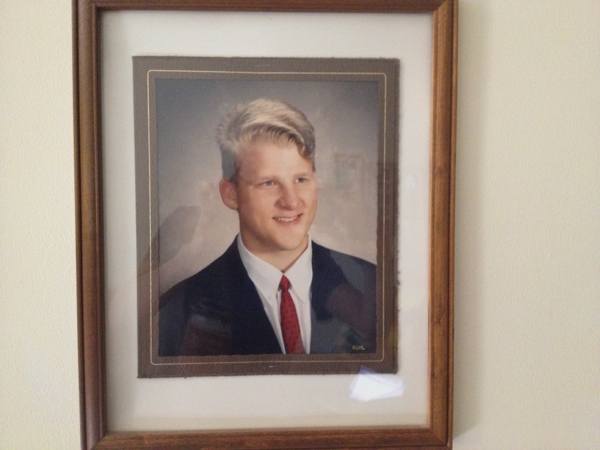 And finally, OMG how adorable is Jeremy’s high school senior pic?! Look, he’s a little baby!! So cute I can barely handle it. Alright guys, now it’s your turn. I hope you’ll share your Love Lists, if the mood strikes you. I do so love to read them! Just leave ‘em in the comments below. And please please, have the happiest of weekends! Okay, I need me some tutorials and recipes for picking, preparing, etc. on cactus leaves and flowers. They grow all over and they sell them at the flea market here, but due to a language barrier, I’ve yet to purchase any!! 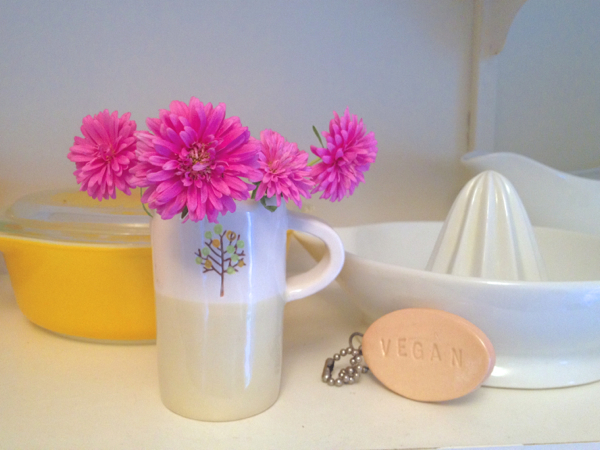 <3 Earth Balance butter…Found it on sale and was like "SERIOUSLY?" on the whole 'actually does taste like butter' thing and now mah freezer is full of it. <3 Instagram…I finally went darkside, made an account. Universe save us all. <3 Lemongrass…growing so fast its keeping me BUSY and giving me more seeds than I know what to do with!! 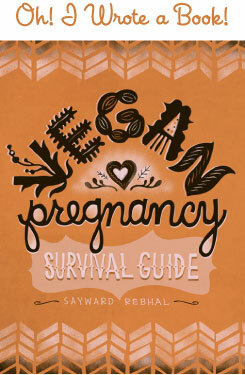 My love list:-Vegan MoFo- For the first time (third year participating), I'm feeling super inspired by Vegan MoFo. -My dog…need I say more? LLL…cheap data roaming! Portland. Great traveling companions (sister, baby son)…this is not always easy, traveling with people who are the same speed makes or breaks a trip for sure. All. the. foods. 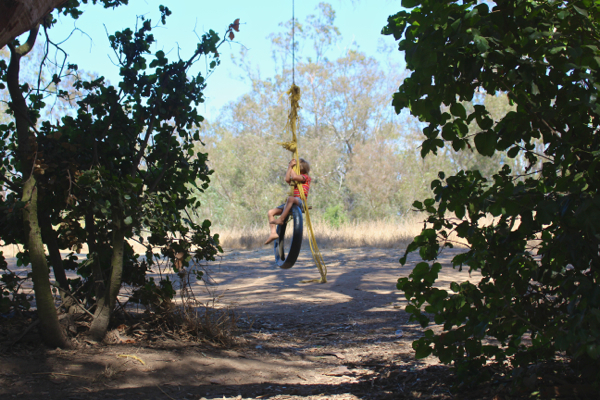 Parks and running and Skype and grandparents holding the fort at home. Partner who encourages me in my weirdness and my time to myself. thanks again for sharing your beautiful pics! Have a great week in Baltimore. Yay for your love list and yay for joining the Instagram darkside. It’s so fun! I looked for you but couldn’t find a Wookie Wifey . . . Thanks for sharing your Love List! I was bummed not to participate in MoFo this year, but it’s been fun following along with everyone else. Good luck with the big move and the new job! Oh I wish I could’ve! We were only in Baltimore very briefly, and all booked up while we were there. But we come back to Maryland every year and we’re hoping to spend some more time there next year! Love it Sonja, thank you so much for sharing! Late to the game but here is my list! - romantic get away with my guy in a cabin in the woods – laying under the stars – autumn leaves! (in Alaska we mostly have birch so everything turns bright yellow!) – my little cousin who loves watching “Brie’s little pony”, not quite grasping the pronouns yet – a clean room – the changing season, equinox tomorrow (9/23) – I also went through a tough situation with a friend. It is all very anxiety inducing but in the end I believe it will bring about change for the better. Thank you so much, Sayward. I always find your blog uplifting. Have a fun, relaxing trip! oh man, we have an awesome friend who dog-sits for us and the best part is her text message updates! they are hilarious and make us so happy that she’s having a good time with our pooches!